Kite flying is one of the most popular sports and festival in India. Kite Festival is celebrated with great fun and fervor. Watching the colorful sky during the kite festival is indeed a feast to the eyes. Men’s inherent wish to fly high and reach the sky would have surely made him invent the kite and fly it high, somewhere giving him the feeling and the satisfaction that he can fly and touch the sky as high as he wants. Kite flying festival is celebrated on 14th January every year. This Festival is also known as Makar Sankranti or Uttarayan. Many of you might be preparing for this festival. 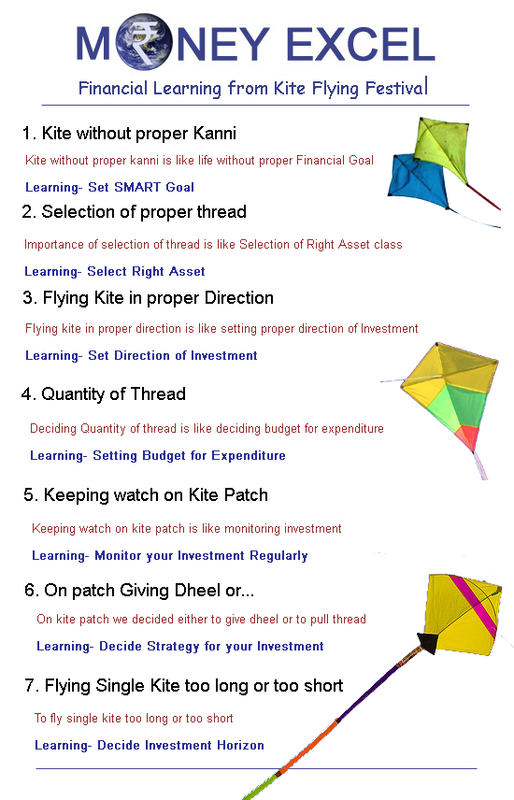 I am here with infographic about “Financial Learning from Kite Flying Festival”. Please share it with friends and colleagues if you think this will be beneficial to them, and yes don’t forget to add your comments!